Plz Pray for Me to Mother Mary & Jesus that all My Financial Problems should be solved as i am Crying Every second bcoz of that. I hav Trusted & helped wen someone need Financialy but i just got tears in return as the Person cheated Me. I am suffering a lot withot My Mistake. i evn lost My Health with Mental tensions. 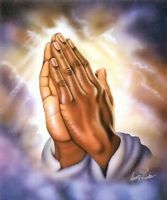 I Need Urgent Prayer for Me & for My Family.